The ancient art of acupuncture has been practiced for centuries in Asia and has more recently spread to the United States and other Western countries. According to traditional Chinese beliefs, acupuncture works by affecting the flow of energy (called qi or chi), through 12 channels, or meridians, that run lengthwise through the body. Acupuncture involves the insertion of extremely fine needles into the skin at specific "acupoints" along the meridians. This action, some scientific evidence has shown, may result in pain relief by releasing endorphins, the body's natural painkilling chemicals, and may affect the part of the brain that governs serotonin levels, the brain transmitter involved with mood. During Chinese acupuncture, the acupuncturist may turn or twirl the needles slightly or apply heat or electrical stimulation to enhance the effects, or he or she may apply an herb called mugwort to the needle tips to further stimulate the designated acupoints; this is called moxibustion. A Japanese form of acupuncture involves more shallow needle insertion than Chinese acupuncture, and needles usually are not manipulated. Korean acupuncture focuses on needling points just in the hands and feet. Acupressure, on the other hand, does not involve the insertion of needles but substitutes deep pressure, usually with a finger or thumb, at acupressure points. Acupuncture has been used to treat most pain conditions, including low back pain, shingles and other nerve pain, hand and knee pain, headaches, fibromyalgia, and menstrual pain. Generally, the acupuncturist will start by interviewing you about your pain and other symptoms, ask about your medical and family history, and perform a full-body examination—including checking your tongue, taking your pulse, and pressing on various parts of your body to identify swelling or sensitivity. Acupuncturists use a holistic approach. Therefore, the treatment will likely address general constitutional (whole-body) imbalances as well as your specific complaint. The acupuncturist typically inserts four to 10 needles and leaves them in place for 10 to 30 minutes while you rest. A usual course of treatment includes six to 12 sessions over a three-month period. The complication rate for acupuncture appears to be quite low. A review of complications reported in medical journals found that the most common serious problem was accidental insertion of a needle into the pleural space between the lungs and the chest wall. Skin infections have also been reported. The advent of single-use, sealed needle packages has all but eliminated the risks of blood-borne infection such as hepatitis B or HIV. 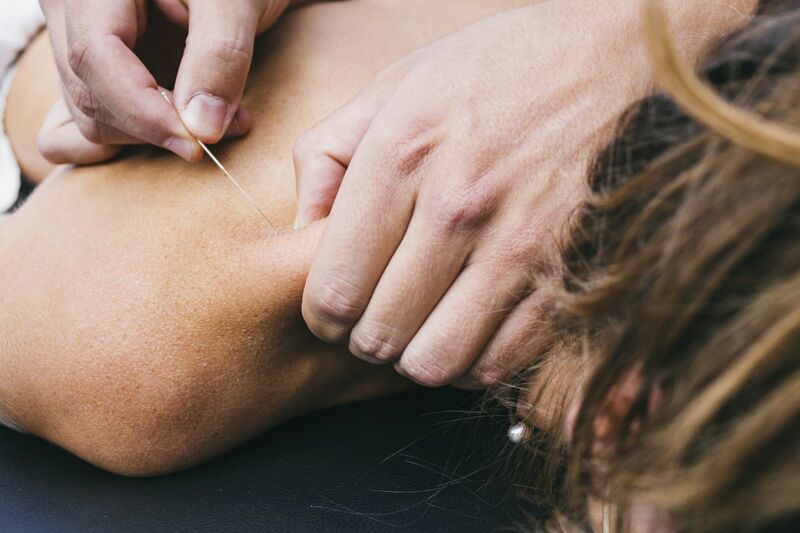 Some of the pain relief acupuncture provides may actually be a placebo effect, in which the expectation of benefit brings about the desired result. Generally, scientific studies account for the placebo effect by comparing a group of participants who receive an active treatment with another group who get a dummy treatment (that is, a placebo). This is difficult with a procedure like acupuncture, because sticking little needles into people is hard to fake. But some studies have been able to compare actual acupuncture with approaches that mimic the procedure (for example, the needles touch but do not pierce the skin, or they pierce the skin in places that are not on a meridian). A study published in 2012 in Archives of Internal Medicine pooled results of 29 studies, involving nearly 18,000 people, of acupuncture for chronic pain (including back and neck pain, osteoarthritis, chronic headaches, and shoulder pain). Some of the studies compared acupuncture to simulated acupuncture, and some compared acupuncture to no acupuncture. In both types of studies, true acupuncture provided the greatest pain relief. Differences between actual and sham acupuncture suggest that the effect of acupuncture is more than just placebo. If you decide to try acupuncture, it is crucial to seek out an experienced acupuncturist. Licensing requirements vary from state to state. In states with no licensing requirements, the safest way to find a qualified acupuncturist is to seek one with certification from the National Certification Commission for Acupuncture and Oriental Medicine. The typical cost of an acupuncture session ranges from $65 to $125. Private insurers usually don't pay for it, nor do Medicare and Medicaid. Bed rest for back pain? A little bit will do you.